Research of complex systems and problems, entities with many dependencies, is often reductionist. The reductionist approach splits systems or problems into different components, and then addresses these components one by one. This approach has been used in the study of recruitment and population dynamics of marine benthic (bottom-dwelling) species. Another approach examines benthic population dynamics by looking at a small set of processes. This approach is statistical or model-oriented. Simplified approaches identify “macroecological” patterns or attempt to identify and model the essential, “first-order” elements of the system. 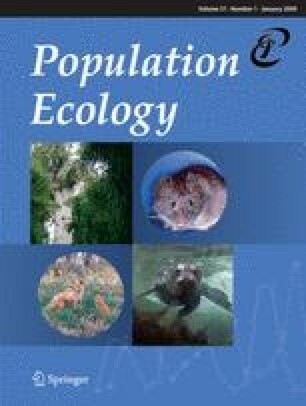 The complexity of the recruitment and population dynamics problems stems from the number of processes that can potentially influence benthic populations, including (1) larval pool dynamics, (2) larval transport, (3) settlement, and (4) post-settlement biotic and abiotic processes, and larval production. Moreover, these processes are non-linear, some interact, and they may operate on disparate scales. This contribution discusses reductionist and simplified approaches to study benthic recruitment and population dynamics of bottom-dwelling marine invertebrates. We first address complexity in two processes known to influence recruitment, larval transport, and post-settlement survival to reproduction, and discuss the difficulty in understanding recruitment by looking at relevant processes individually and in isolation. We then address the simplified approach, which reduces the number of processes and makes the problem manageable. We discuss how simplifications and “broad-brush first-order approaches” may muddle our understanding of recruitment. Lack of empirical determination of the fundamental processes often results in mistaken inferences, and processes and parameters used in some models can bias our view of processes influencing recruitment. We conclude with a discussion on how to reconcile complex and simplified approaches. Although it appears impossible to achieve a full mechanistic understanding of recruitment by studying all components of the problem in isolation, we suggest that knowledge of these components is essential for simplifying and understanding the system beyond probabilistic description and modeling. This manuscript was submitted for the special feature based on the symposium in Jozankei, Hokkaido, held on 20 October 2007. J.P. and V.S. thoughts on this topic emerged when the authors were funded by the NSF Biocomplexity program. We also wish to thank WHOI’s Ocean Life Institute, and King Abdullah University of Science and Technology (KAUST) for support, and Jonathan Blythe for comments on the paper. The authors are solely responsible for the contents of this work.